Meet Lela Sadikario, director of Junction. The same Junction that's behind Gesher, Rescape, Baltic Jewish Network, Con.Junction, Connect, OpportUNITY, and D&A programme; and is supported by the Schusterman Foundation, JDC and Yesod Europe. One common aspect to all of Junction's programmes is that they are pan-European opportunities for young people 'to learn, grow, and thrive'. But their aim goes beyond providing professional development, focusing on empowering and engaging young Jewish adults in general. 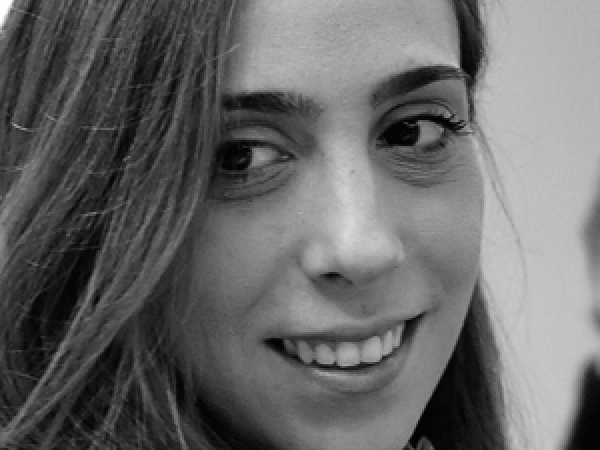 In this brief conversation, Lela, Macedonian-born, Milan-based director shares her thoughts on Junction's work, the challenges and opportunities facing young European Jewish professionals and our communities, and what it means to be Jewish. What is it, put simply, that you hope Junction’s projects offer and provide? Lela: Junction’s mission is to foster spaces for young Jewish adults to dream big, to aspire, and to elevate themselves beyond their everyday lives. It is also to provide access to new knowledge and tools that can be useful throughout their lives, both in and out of the professional sphere. By bringing together young people from all over the world, Junction also aims to allow participants to network, but on a deeper level, to truly learn from and understand each other. Ultimately, Junction provides possibilities for young Jewish adults to approach their Jewish identifies as something infused with the rest of their lives, as something that can add to and enrich every element of their lives. 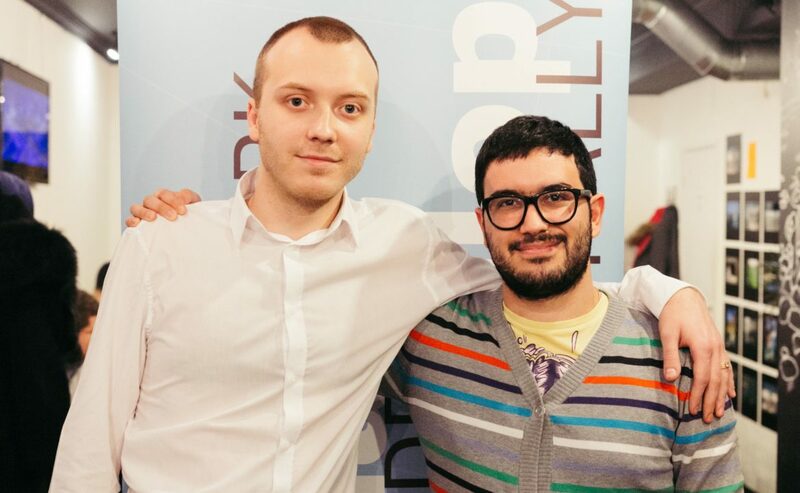 Alex and Ilya, co-founders of Junction's Baltic Jewish Network for young professionals..
And why do you think are connectedness and the connection to the pan-European Jewry important? Lela: Firstly, many European communities may not have the critical mass needed to share new and innovative ideas with each other. 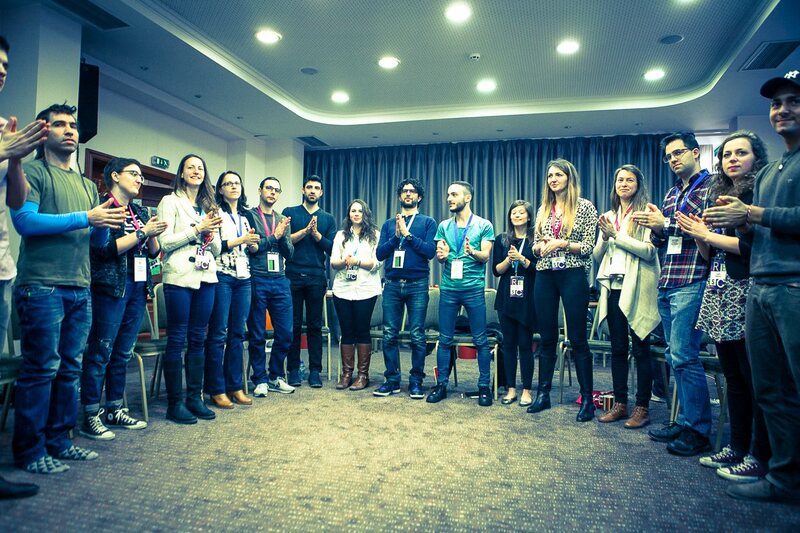 Taking part in pan-European activities allows young people to dream and think bigger, to feel more connected, and to enhance their creativity – all of which they can take back with them to their local communities. It also allows them to learn about their common and diverse challenges, leading them to work together on innovative solutions. Put simply, we are stronger as a people and as a diaspora when we get to know each other, collaborate, and feel connected. This connection is also much easier to nurture today – travel and communication is much easier to access, fostering meaningful relationships as a result. Along those lines, fostering ‘global Jewish life, relevant for the present and future’ are stated as part of the vision. What would you say is relevant for Jewish life of today and tomorrow? Lela: We live in a society in which today’s news is already in the past. Relevant Jewish life should be aware of and grapple with that reality. The ability to transform and adapt to rapidly changing circumstances, to modernity, is essential for fostering Jewish life that is meaningful for individuals living in that modern society. The ability of individuals to organize themselves in communities that reflect their image and their preferences is also important in order to stay relevant and endure. What are some of the main challenges that you see facing the JCs in Europe and young European Jews? Lela: On the one hand, we live in one of the most exciting moments in history. We have so much access to technology, movement, and information, that fostering connections is easier than ever. However, we also live in uncertain and scary times, both here in Europe and all over the world. No one can predict the future, and it can be hard to innovate and to dare to dream under those circumstances. There is also a lack of trust in establishments for youth to be able to lead that innovation. An image from Rescape - a 4-day event for community projects. How do you envision the future of JCs, what is your ideal JC(C) of tomorrow? Lela: Throughout its history, Judaism has demonstrated its lasting ability to transform and adapt into the modern situations in which we find ourselves, even when those transformations have involved difficult or radical decisions. I believe the future of Jewish communities lie in their willingness to move beyond tolerance, and actually embrace, honor, and respect each other and our differences. I believe in Jewish communities that hear and incorporate the voices of all its diverse members. And finally, what does does it mean to be Jewish, in Europe, today? Lela: To be Jewish today in general, not just in Europe, means to have doubts, but to turn those doubts into questions that we can in turn answer together. That means having patience, understanding and digging deeper into our own values, thinking about larger society, questioning what we as Jews give to humanity, as well as what we contribute to Jewish life so that it prospers and grows. It’s about not being naïve about the challenges we face, but rather embracing those challenges, questions and doubts, and putting ourselves in the position to respond to them together, and in a positive way.